(07-25-2018, 03:18 PM)Carsman Wrote: . Roseanne didn't say anything different then anyone else has ever said. she just used Twitter and that's a really stupid thing to do, just like Trump using Twitter it's stupid. Today nobody in their right mind would say what they mean and put it in writing. Apologizing looks even worse. Should annoying Roseann Barr have had her re-booted new show cancelled because of her Racist Tweet? Is she a victim of political correctness? It's a shame so many people had to lose their jobs with the cancellation. Her comment was unacceptable, but she shouldn't have had her show canceled. Were her 1st amendment rights violated? Should She should have the freedom to make any jokes she wants without fear of losing her job. So what say you, should the Roseann show have been cancelled? Megan Markel, the Kardashions and Trump. Each one has at least 3 stories going on at any given moment. It's annoying. It makes me wonder what life would be like for a week if I didn't turn the TV on or get online. (01-03-2019, 06:17 PM)Duchess Wrote: It makes me wonder what life would be like for a week if I didn't turn the TV on or get online. For me it would be stressful. I need something to escape from the socializing, work and my family. 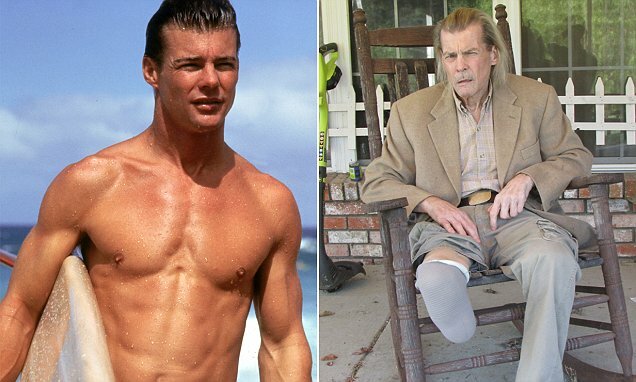 Jan Michael Vincent died Feb 10th, age 74. Shown here with part of his right leg amputated. Jan Michael Vincent was one of the most beautiful young men I've ever seen. I wish he could have quit the booze, it destroyed his life. (03-15-2019, 12:40 AM)Rootilda Wrote: Jan Michael Vincent was one of the most beautiful young men I've ever seen. I wish he could have quit the booze, it destroyed his life. I recently saw some old pix of him as Airwolf. Hubba Hubba. Rootilda Wrote: Jan Michael Vincent was one of the most beautiful young men I've ever seen. I wish he could have quit the booze, it destroyed his life. Or at least take a few acting lessons. Horrible actor.